Axial angular contact ball bearings, for screw mounting (ZKLF 2068.2RS;ZKLF2068.2RS) - YITONG INDUSTRY (NINGBO) CO., LTD.
•The complete units are consisted of a single-piece outer ring, a two-piece inner ring, balls, cage assemblies and seals. 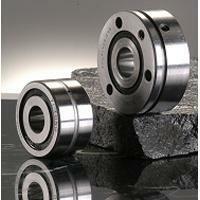 •Bearings are double direction angular contact ball bearings with a 60' contact angle in an O arrangement. •can support axial loads from both directions as well as radial loads. •Suitable for operating temperatures from -30°C to +120°C (limited by the grease, sealing ring material and the plastic ball cages). •outer ring is suitable for flange mounting. •lip seals or gap seals on both sides.